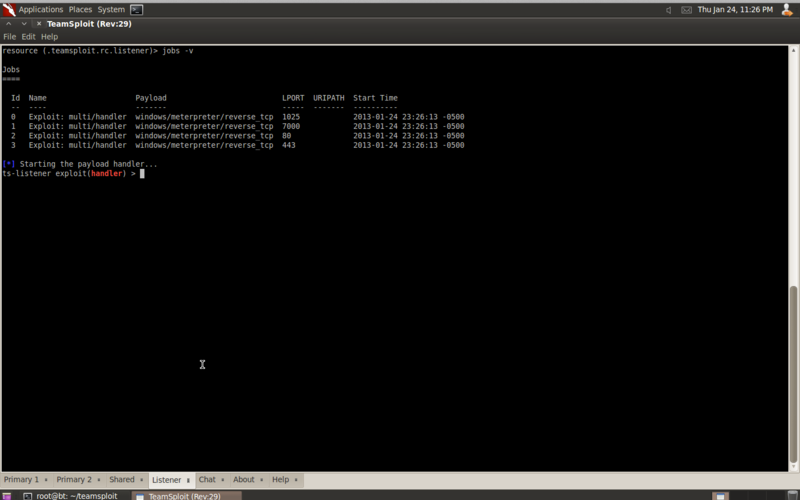 TeamSploit Command Line Interface showing Two Primary Windows and a Listerner. 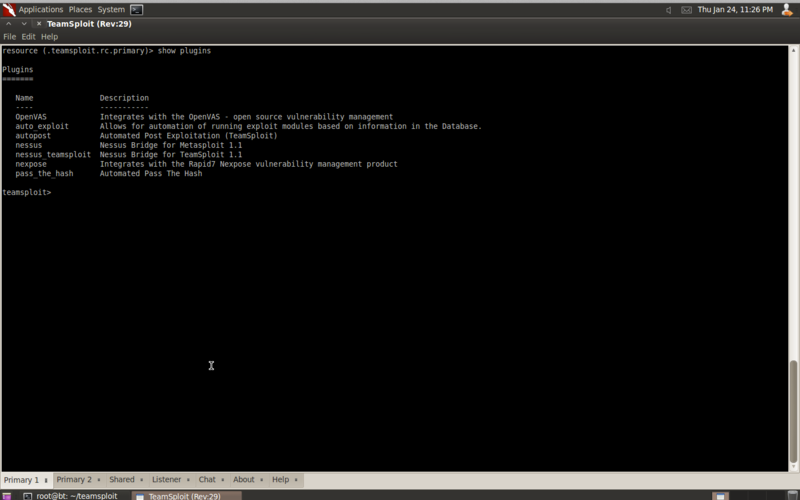 TeamSploit's Primary Window for the Graphical User Interface. TeamSploit's Listener Window for the Graphical User Interface. 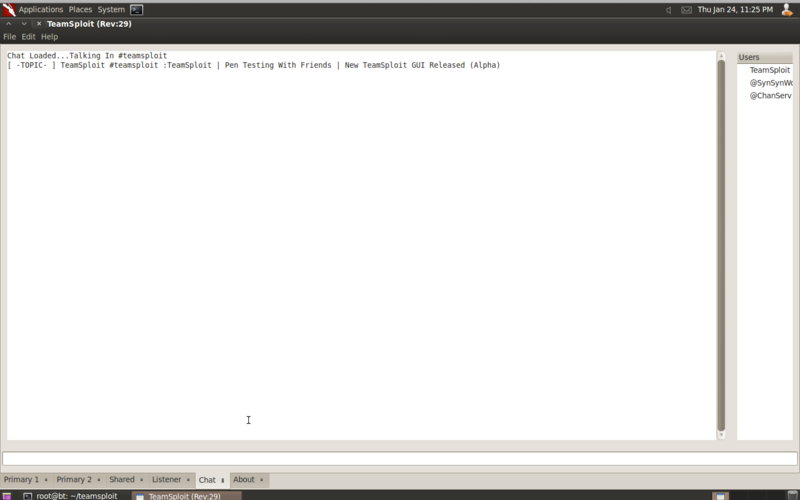 TeamSploit's Chat Window for the Graphical User Interface. 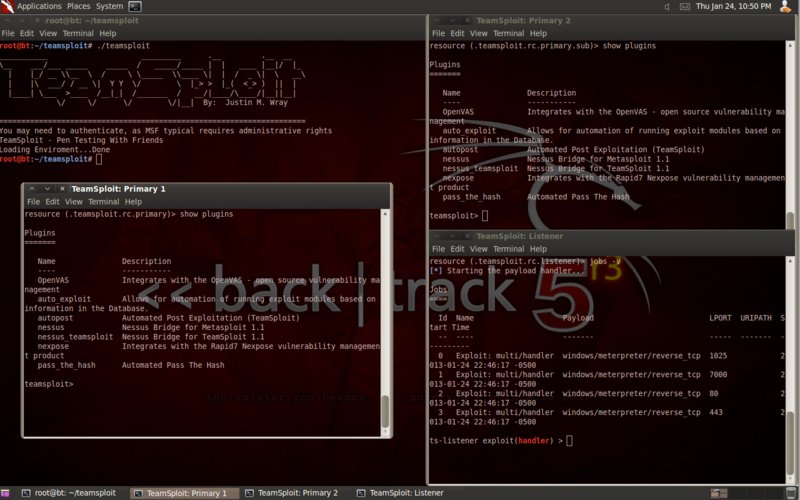 TeamSploit's Help Window for the Graphical User Interface. TeamSploit's Browser Window for the Graphical User Interface.